ALEXEY LUDEVIG was born in Leningrad. 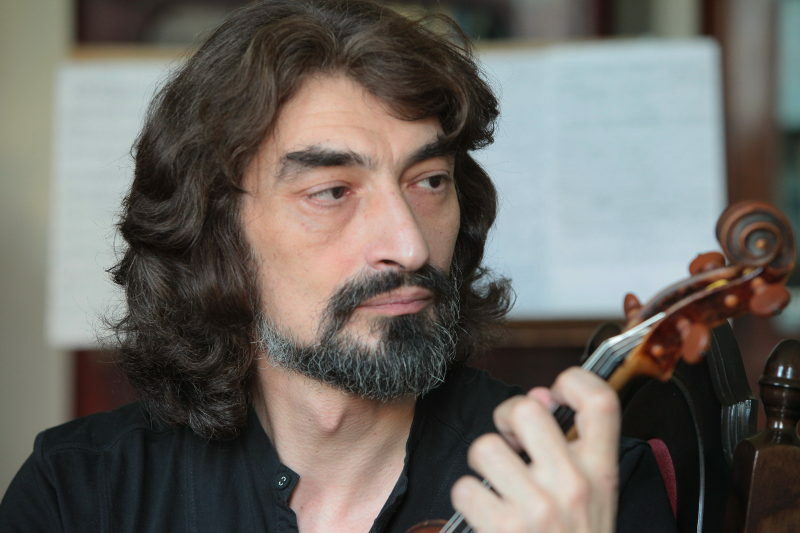 He played the viola from his father – viola player Alexei Lyudewig Sr., from Yuri Bashmet and Dmitry Shebalin. He also studied conducting with Maris Jansons. Took part in many music festivals in Russia, Germany, France, Switzerland, America etc. He worked as an accompanist for the altos of the Chamber Orchestra of Lausanne, Lyon Pera (at the invitation of Kent Nagano), Chamber Orchestra of Toulouse and in the «Academy St.Martin in the Fields” in Londone. V violist’s repertoire – works created over the past three centuries. Alexey Lyudewig is honored by the high-profile premiere performances of works by many Russian composers – Ouspensky, Slonimsky, Sapozhnikov and others, as well as the works of contemporary American and French authors, many of which were written specifically for him. Petersburg ”. Upon his return to Russia, he teaches at the St. Petersburg Conservatory and the Music College of St. Petersburg, continuing to perform as a soloist and chamber music lnitel. Played on viola, created by Antonio Mariani in 1661.